Somerset House hosts a ton of amazing spiral staircases, most of which dates back to when the building was build. Not only are they an architecture success that has withstood the test of time, they are also an engineering marvel. Joining them is the Miles Stairs. 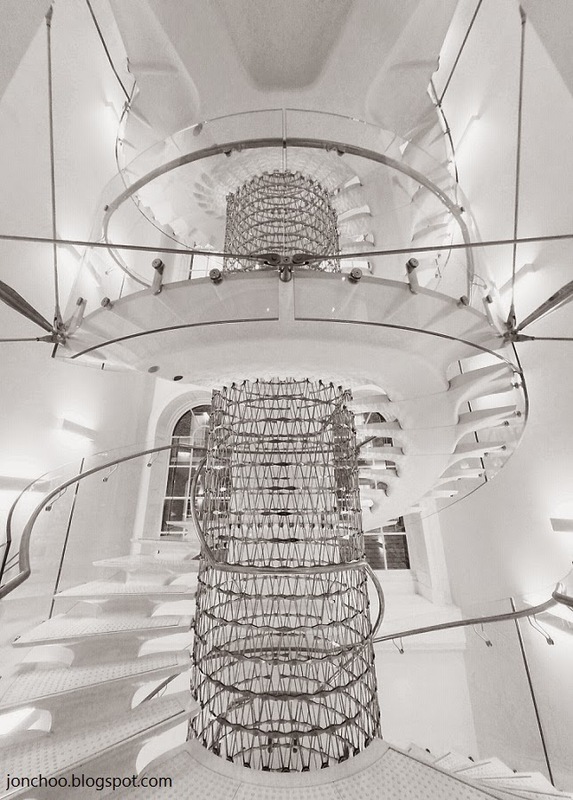 Designed by Eva Jiricna, this amazing new spiral staircase is located in the West Wing of the Grade I listed Somerset House, and features a lightweight steel mesh tower core and ultra performance concrete cantilevered stair threads made of a new material called ductal. Ductal is said to be a thousand times stronger than concrete. Unlike the older staircases in Somerset House, the threads on the Miles stairs are connected to the central tower and not on the walls.